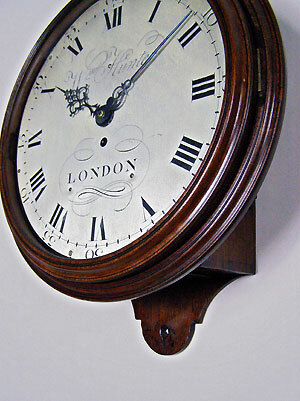 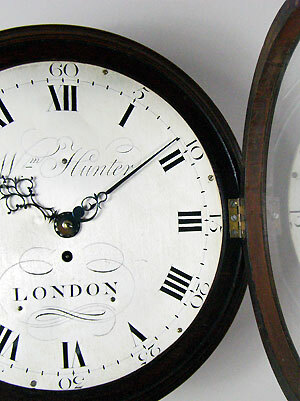 This is a very rare 12 inch dial clock by William Hunter of London in a full mahogany "salt box" case. 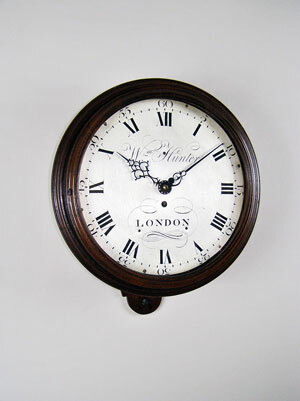 The clock has a beautifully engraved, silvered dial with early hands, an eight-day gut and fusee movement with original knife-edge verge escapement and short bob pendulum. 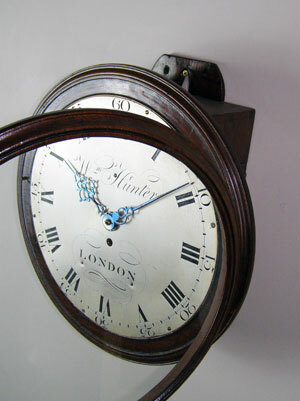 This timepiece is original throughout.